The possible variability of project delay is useful information to understand and mitigate the project delay risk. 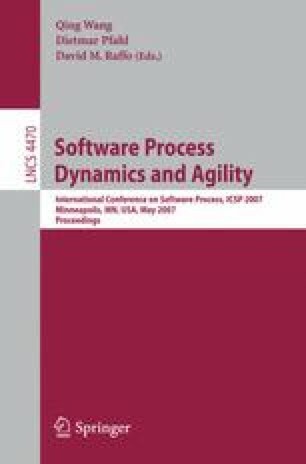 However, it is not sufficiently considered in the literature concerning effort estimation and simulation in software product line development. In this paper, we propose a project delay simulation model by introducing a random variable to represent the variability of adaptive rework. The model has been validated through stochastic simulations by comparing generated adaptive rework to an actual change effort distribution, and by sensitivity analysis. The result shows that the proposed model is capable of producing reasonable variability of adaptive rework, and consequently, variability of project delay. Analysis of our model indicates that the strength of dependency has a larger impact than the number of residual defects, for the studied simulation settings. However, high levels of adaptive rework variability did not have great impact on overall project delay.